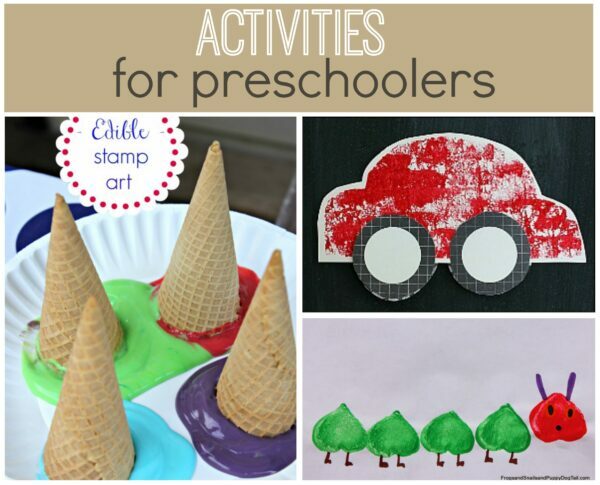 It can be hard to find fun activities for preschoolers which will keep them busy but which they will love. 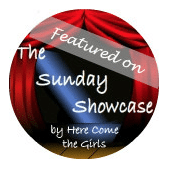 This selection of activities from last week’s Sunday Showcase are bound to be a big hit and will prove popular for older children too. 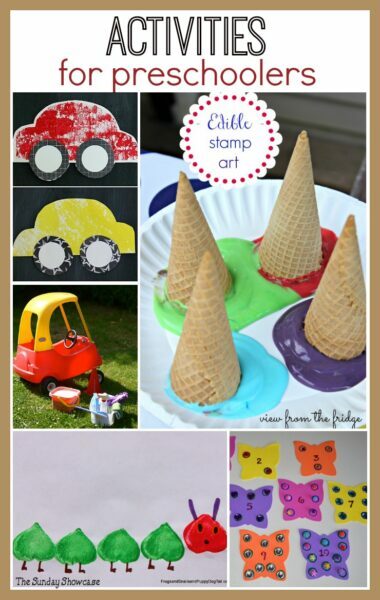 In fact I want to have a go of the edible stamp art myself! 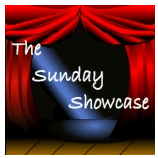 The Sunday Showcase is hosted on FOUR blogs. This means more of your activities for kids can be featured so make sure you check each of the blogs to see what posts have been chosen. 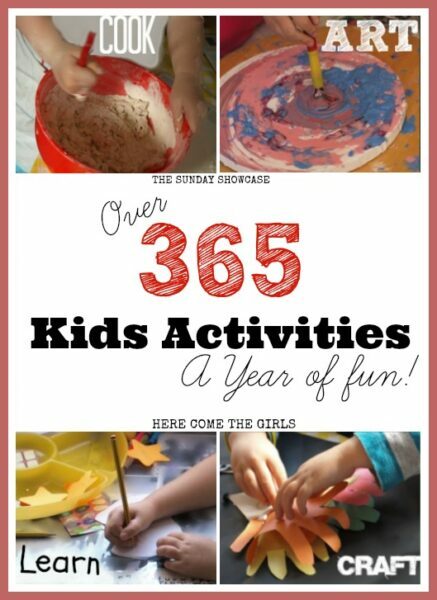 Anything kid friendly and/or child centered activities for kids are welcome! You are welcome to share more than one post,but wed on’t accept links for giveaways, shops, or downloads for purchase, etc. They will be deleted.